It’s that of year now where we protect ourselves from turning into lobsters and to protect our skin from damage and premature wrinkles even though it’s meant to be worn all year round. I’ve started using this since my holiday and when the UK had it’s mini heatwave recently. This did prevent me burning as I do burn easily nowadays. SPF 50+ may sound too much but I can’t just risk the burn and the after effects. I only need to apply this once before my makeup and it will last a good 8 hours protecting you from the strongest rays during the day. This does work as a great makeup base however I do need something else to control the oils. It does sink into the skin quick even if it is a thick, creamy, non sticky texture without leaving a white cast. I do wait 30 minutes before applying makeup. It is a non greasy formula and is great for all skin types. However, alcohol is an ingredient in this. If you’re sensitive to alcohol based products, I’d stay away. I use this sparingly due to the alcohol content since it leaves my skin feeling tight. I do need a moisturiser on top otherwise I would break out. There is a chemical smell which I dislike. Might be the alcohol in it. I can’t really comment on the anti-ageing feature but I do hope it’s working. Who would want premature wrinkles? If this didn’t have alcohol, it would be perfect! The pump is hygienic and it allowed me to control how much product I want. I dislike the opaque white packaging as it is hard to see how much product is left. I’m quite neutral about this. Would carry on using it but might not repurchase it unless they have one that doesn’t have alcohol. Do you use sun lotion? 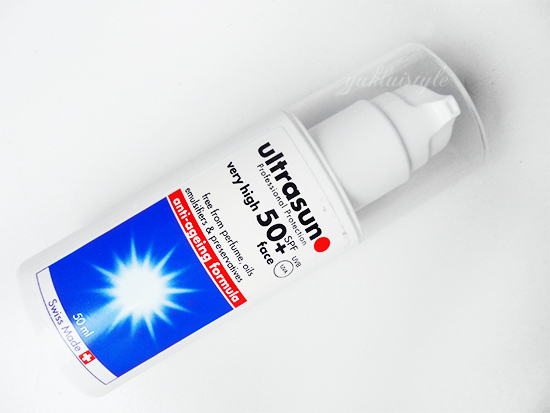 ultra sun is hands down the best sun tan lotion out there. Great review! 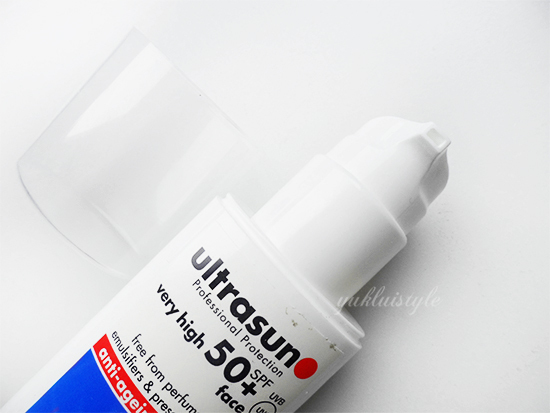 I have to wear high SPF as I 'm really pale! great review, I like them to smell nice though.